Explore Chicago’s groundbreaking architecture with our one-day itinerary that whisks you from walking and boat tours to sky-high city views. Chicago is known around the world for its amazing architecture. The skyline has been shaped by some of the biggest architects in history, including Frank Lloyd Wright, Mies van der Rohe and Daniel Burnham. 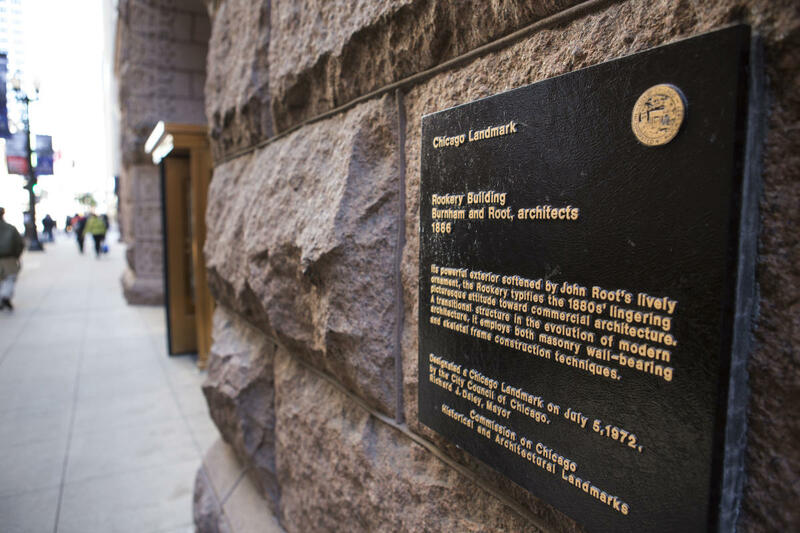 Learn the story of how the city was rebuilt from the ground up after the Great Chicago Fire and see some design masterpieces along the way during this exciting one-day itinerary filled with the top Chicago architecture tours. 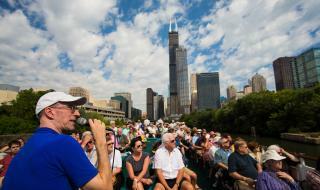 Start your day with a tour led by the experts at the Chicago Architecture Center. With more than 85 tours, it may be hard to choose just one. But a sure bet is the Historic Skyscrapers downtown walking tour that explores some of the world’s earliest skyscrapers. Undaunted by the Great Chicago Fire of 1871 that destroyed much of the city, these tall buildings transformed Chicago into a center of skyscraper design and engineering. Highlights of the two-hour tour include the ornate Rookery building designed by Burnham, with an interior atrium redesigned by Wright; Dankmar Adler and Louis Sullivan’s Auditorium Building; and the Art Deco-style Chicago Board of Trade building, designed by Holabird and Root. Have lunch in The Walnut Room, which was the first-ever department store restaurant when it opened in the former Marshall Field’s in 1907. Today, it’s located in the flagship Macy’s on State Street, where it still retains its dark walnut paneling and elegant Austrian chandeliers. Be sure to order Mrs. Hering’s Chicken Pot Pie, named for a store clerk who inspired the restaurant’s opening. 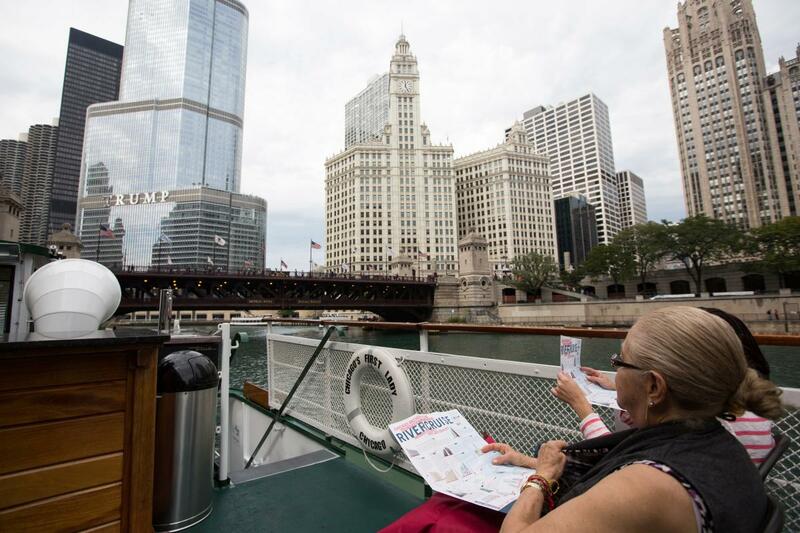 After lunch, head to the Chicago Riverwalk and hop on the Chicago Architecture Foundation Center River Cruise Aboard Chicago’s First Lady Cruises. 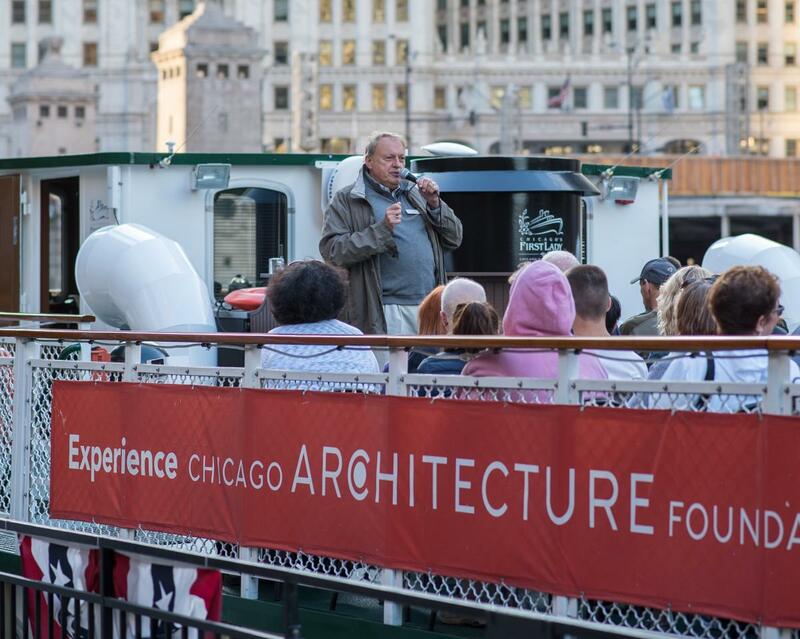 Voted one of the top 10 tours in the U.S. by TripAdvisor, this popular 90-minute cruise is narrated by CAC-certified docents who point out more than 50 architectural gems along the Chicago River. As you pass by you’ll hear about Chicago’s fascinating history and the design giants who helped create the city’s world-famous skyline. 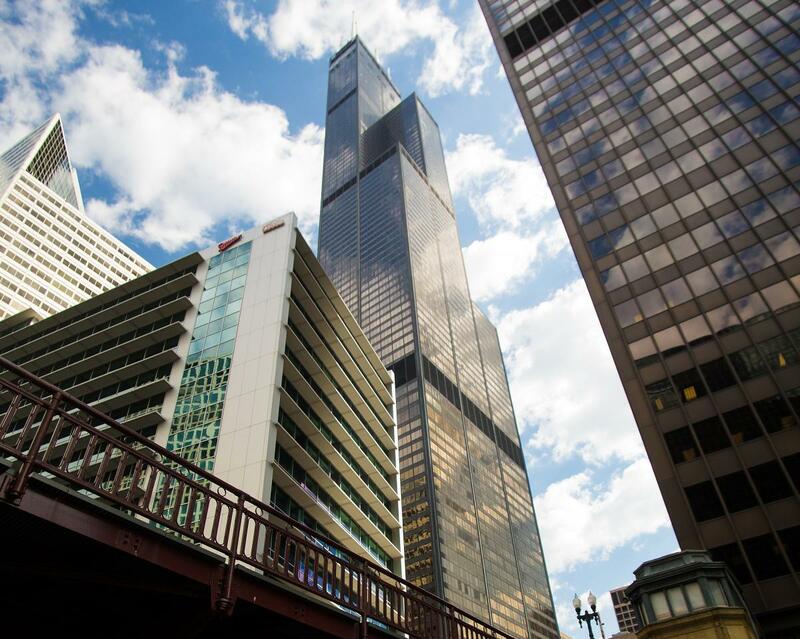 Next, trek up to the top of two of Chicago’s tallest buildings for a sky-high view of the city. You can skip the lines and get discounted admission with a CityPASS or Go Chicago Card. Located above The Magnificent Mile, 360 CHICAGO is an observation deck nestled on the 94th floor of the 875 N Michigan building (formerly the John Hancock Center) that was cited as offering one of the Best Views in America by Travel + Leisure magazine. 875 N Michigan is the fourth-tallest building in the city, and its distinctive X-shaped external bracing has made it a Chicago architecture icon. The highlight of a visit to 360 CHICAGO is TILT, a huge steel-and-glass bay window that is hydraulically tilted forward, giving you a heart-stopping downward facing view of the city from 1,030 feet up in the sky. When you reach the 103rd-floor Skydeck Chicago (the highest observation deck in the United States), you’ll be greeted with jaw-dropping panoramic views that can span up to four states and nearly 50 miles on a clear day. A highlight is The Ledge, a first-of-its-kind attraction that extends a glass balcony four feet beyond the building itself to create an unforgettable viewing experience from 1,353 feet up in the air. Time your visit at sunset to see the city transform from day to glittering night. For dinner, choose from one of the three restaurants housed within the Italian Village: the wine cellar-like La Cantina, contemporary Vivere or The Village, a whimsically recreated Italian village complete with a twinkling night sky. Owned by the Capitanini family since 1927, the downtown Italian Village is Chicago’s oldest Italian restaurant. Dig into a traditional Northern Italian dish like the Chicken Cacciatora served with grilled polenta. Afterwards, walk over to the Auditorium Theatre of Roosevelt University and catch a music or dance performance. Adler’s acoustical design of the theater is considered to be a masterpiece of sound, while Sullivan’s signature ornamentation (including 24-karat, gold-leaf ceiling arches) adds graceful style. 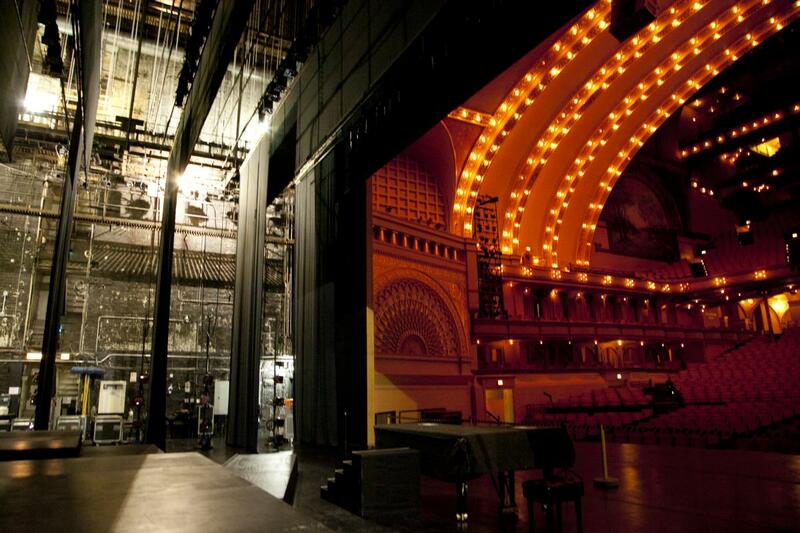 Join one of the daytime Historic Theatre Tours for a behind-the-scenes look at this architectural marvel. Get the scoop on citywide architectural happenings that showcase the best of Chicago design. Kicking off on Sept. 16, 2017 and running through Jan. 7, 2018, the 2017 Chicago Architecture Biennial presents a wide-ranging variety of exhibitions, full-scale installations and programming. Some 100 architects and artists from around the world have been invited to present their works built around the theme of Make New History. Although the hub of the Biennial is the downtown Chicago Cultural Center, more than 100 program partner organizations across the city will host related special events and exhibits (many of them free! ), including Pilsen’s National Museum of Mexican Art, Hyde Park’s DuSable Museum of African American History and Humboldt Park’s National Museum of Puerto Rican Arts and Culture. Have you ever walked by an interesting Chicago building and wished you could take a peek inside? 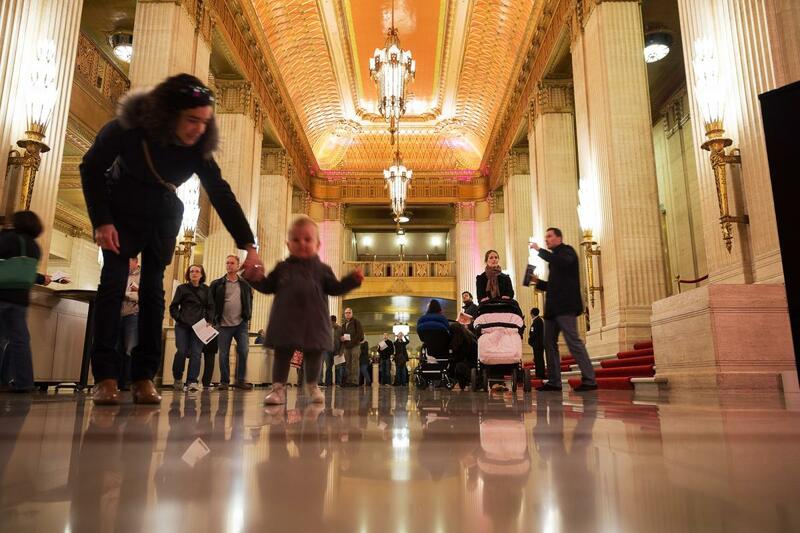 You may get your chance during Open House Chicago, a free public festival hosted by the Chicago Architecture Center from Oct. 14-15, 2017. More than 200 architectural treasures and hidden gems throw their doors open for self-guided tours. Structures located in 20 different neighborhoods range from soaring skyscrapers to opulent mansions and exclusive private clubs, many of which are rarely open to the public. No tickets or registration are required, and you can build your own itinerary based on your must-sees.